As with most years, each smartphone lines up pretty well against each other. They both have display notches, they both have displays larger than 6 inches, both use OLED technology, and both have stereo speakers. However, the differences in cameras and price will help make the decision for those on the fence. 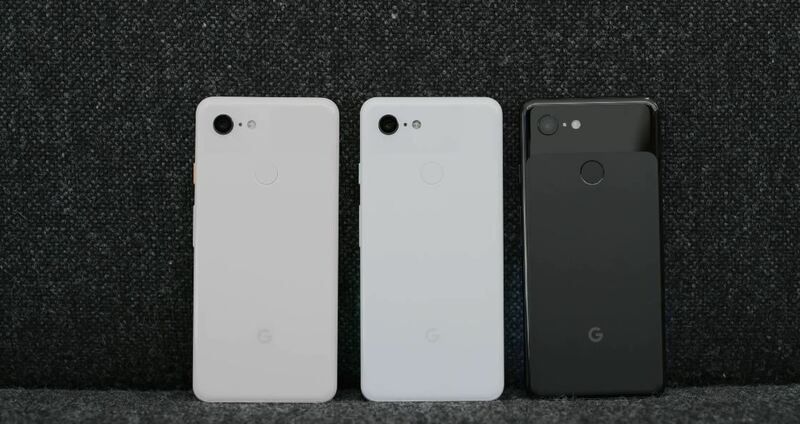 The Pixel 3 XL received a small upgrade to its screen size over the Pixel 2 XL, from 6 inches to 6.3 inches. This is the largest display in any Nexus or Pixel phone and will help users enjoy videos more than ever. The panel is also OLED (we believe LG POLED, but this wasn't confirmed). It is certified by UHD Alliance for HDR support and has a 2930 x 1440 resolution. It does have display notch that is quite big, but it houses one of the two stereo speakers, one of the reasons for its large height. For the iPhone XS Max, the display is where it shines. It has already received the highest mark from DisplayMate which declared it the best smartphone display. The screen is also the largest in its lineup, upgraded to 6.5 inches. Unfortunately, Apple didn't elect to use a 1440p panel, instead opting for the untraditional 2688 x 1242. While this results in the same pixels per inch as its little brother, it does leave it far behind the 523 ppi of the Pixel 3 XL. 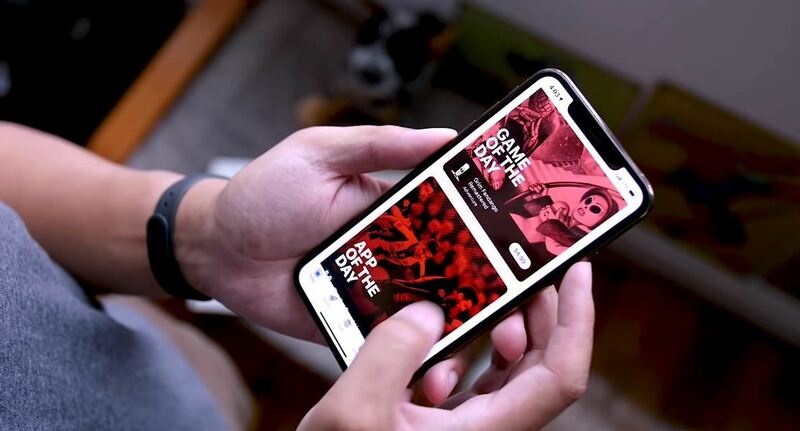 The iPhone XS Max's panel is also an OLED panel, manufactured by Samsung and based on their Super AMOLED technology — one of the reasons for its high praise from DisplayMate. Apple also chose to alternate the touch refresh rate from the display's actual refresh rate. The touch refresh rate (or how often the screen checks for touches) is double the screen refresh rate (how fast the screen can produce an image). The result of this combination is a smoother, faster screen in which animations start faster and touches are more responsive. Probably the biggest differences between the two devices will be found in the cameras. Both heavily rely on their advanced HDR process using their onboard NPU. For the Pixel 3 XL, that starts with the new Visual Core. This powerful NPU is capable of processing the image so efficiently that Google has once again opted for a single lens for its rear camera. It's a 12.2 MP camera with a f/1.8 aperture. And with this one camera, Google can offer all the features of a modern smartphone camera including Portrait Mode. Google also includes some new features which improve photography, all of which are processed using the improved Google Visual Core. Top Shot takes multiple shots of a subject and, using machine learning, determines the best photo based on whether the subject is in focus, has its eyes open, and is smiling. Night Sight uses AI to enhance colors so that pictures come out bright and well lit even in low light — without the flash. Super Res Zoom combines several photos taking into account your movement (e.g., our natural tendency to move closer without optical zoom) and creates a zoomed-in image. Also, unlike Apple, the Pixel 3 XL will now let you shoot RAW using the default camera app. The iPhone XS Max needs a third-party app to do the same thing. For the iPhone XS Max, Apple uses two rear cameras. The main lens is a wide-angle 12 MP lens with f/1.8 aperture. The second lens is a 12 MP telephoto lens providing 2x optical zoom. However, the real power of the iPhone XS Max's camera comes from the 8-core Neural Engine. The iPhone XS Max has Smart HDR which takes a series of photos to capture different details and combines them for an even better photo. Depth Control let you adjust the depth of field after taking the photo for even more customization. Bokeh effect (Portrait mode) has also been improved for a more in-focus subject. However, Google also has a feature to adjust depth in a Portrait Mode image, as well as one that lets you color-pop your subject by gray-scaling the background. As for the front cameras, the major difference between the two phones is the Pixel 3 XL's additional camera, the wide-angle lens, which makes group selfies a breeze. With it, you can include more people in the shot instead of forcing people to squeeze into the middle. The Pixel 3 XL also has more megapixels at 8 MP verus the iPhone XS Max's 7 MP. Both phones use 4 GB of RAM which is a bit low for the Pixel 3 XL. You won't find a headphone jack on either phone, but the Pixel 3 XL still includes the dongle, unlike the iPhone XS Max. While both phones do support USB Power Delivery, only the Pixel 3 XL includes an 18-watt power adapter for fast charging out the box. Apple continues to supply the less powerful 5-watt charger for slower charging times, requiring users to buy the USB-PD power brick (and compatible cable) for the fast charge times. Although the Pixel 3 XL's battery did shrink a bit from last year, it is still larger than the iPhone XS Max's. However, capacity doesn't tell the whole story and iOS has consistently been better at power efficiency, allowing Apple devices to get all-day battery despite using a smaller battery. Regarding storage variants, both entry levels are 64 GB. However, Apple offers as high as 512 GB storage for the iPhone XS Max whereas the Pixel 3 XL maxes out at 128 GB. But Google does give its users free unlimited storage for photos and videos on Google Photos to make up for the lack of space. Both are IP68 water and dust resistant and both support eSIM. If you are looking for dual SIM, only the iPhone XS Max supports that option, allowing you to use both a Nano SIM and eSIM at the same time, while the Pixel 3 only supports using a single Nano SIM or single eSIM at one time. Like its smaller counterpart, the Pixel 3 XL's biggest advantage is the price. While both phones offer similar specs, the Pixel 3 XL is $200 cheaper. At $899, the Pixel 3 XL is a steal compared to the iPhone XS Max which starts at $1,099. At $200 cheaper, the Pixel 3 XL is a great alternative to the iPhone XS Max. It is one of the few stock Android devices and has one of the best cameras on the market. The iPhone XS Max is beating the Pixel 3 XL is many categories including its superior display and SoC, but isn't quite as good in the photo department. What do you think about these two phones? Which one will you be getting? Let us know in the comment below.